Suspected Boko Haram jihadists killed at least 31 people in a twin suicide bomb attack on a town in northeast Nigeria, a local official and militia leader said today. Two blasts ripped through the town of Damboa in Borno stateyesterday evening targeting people returning from celebrating the Eid al-Fitrholiday, in an attack bearing all the hallmarks of Boko Haram. "There were two suicide attacks and rocket-propelled grenade explosions in Damboa last night which killed 31 people and left several others injured," militia leader Babakura Kolo told AFP. 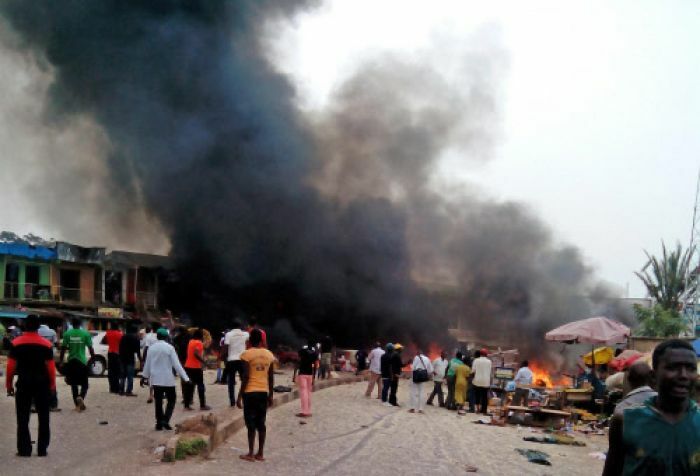 Two suicide bombers detonated their explosives in Shuwari and nearby Abachari neighbourhoods in the town around 10:45pm, killing six residents, said Kolo, speaking from the state capital Maiduguri, which is 88 kilometres from the town. "No one needs to be told this is the work of Boko Haram," Kolo said. A local government official, who spoke on the condition of anonymity, confirmed the death toll.